In the beginning was fiberglass.. In the latter 1950s, there was a small group of men who were employed as workers for Dryer Yachts in Rhode Island. This was around the same time fiberglass had first came into existence. These men became quite skilled working with fiberglass, sand decided to formulate a boat manufacturing company of their own. Then there was Grampian Marine.. They built their own plant and established a strong reputation; while still continuing their association with Dryer; who now had become their first client, with the continued manufacturing of their sail and powerboats. 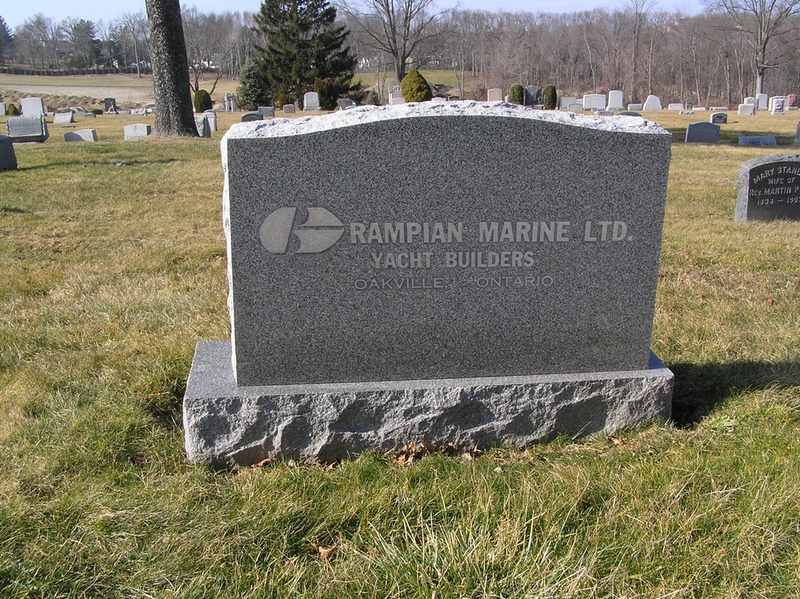 They named their company 'Grampian Marine', it was based in Ontario Canada. This new manufacturer flourished, and thru the years Grampian became the builders of boats for Triangle, US Yachts, O'Day, Fairy, Snipes, 420's, and the George Walton Yachts, amongst others. But as of yet, they had not begun designing and building their own line of boats..
"Let there be a large 26 footer".. In the mid 1960s, Grampian Marine was already been building a quality selection of their own Yachts in various styles and sizes,.. But let's jump ahead to 1967; that's when they decided to try something revolutionary.. The objective was to create a new 26 foot performance sailing yacht, which would feature a roomy, and self contained interior. In other words, they wanted to put a big boat inside a small one, and still have it be racer worthy. As contradictory and difficult as the task sounded, their own in-house designer, Alex McGruer, managed to do just that. It had the luxuries; Large cockpit, functional galley, dinette, foldable down to sleep 2, a huge vberth for 2, an aft to sleep one, 6' head room, an enclosed head, large built-in cooler, a hanging locker, and lot's of storage space, and she was a performance racer to boot! The manufacturing of McGruer's design got underway in late 1968*, and the result turned out to be the most successful boat, by far, Grampian ever built. 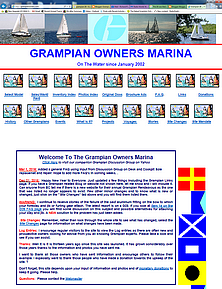 The hugely popular Grampian 26 was born. "Let us buy it! 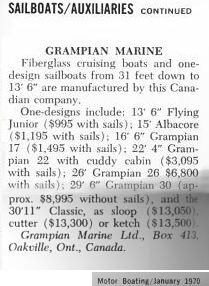 "..and they did..
Grampian Marine received orders for over 170 of the new Grampian 26s in the first year of production (see Rudder excerpt at right). 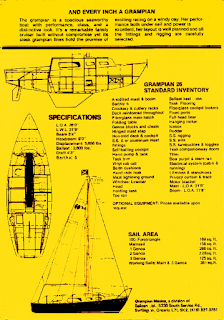 By 1975 they had built and sold nearly 800 of the G26 model, and by the time Grampian Marine had ceased operations in 1977, the number had climbed to almost 1,000. A staggering amount to produce in less than a decade.. and oh they were well built. The beloved G26.. "The Worlds Largest 26 footer". Grampian Marine is long gone now. But the G26s live on..
That's not the end of the Grampian 26 story, far from it. 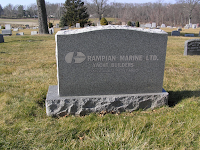 Grampian Marine was put to rest in 1977, but her offspring's weren't. The G26s continued to prosper on great adventures, and joyful cruises throughout the world. And the majority of the G26s are still sailing strong, even now, nearly a half a century later. 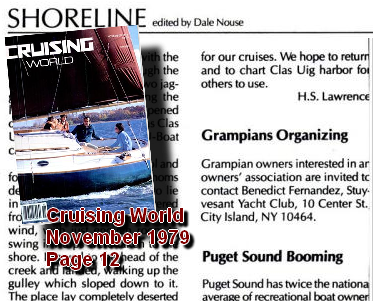 Let's stop for a moment here to clarify something; This page is here as a dedication specifically to the G26, but Grampian produced many fine sailing yachts, The G23, G28, G30, G34, G2-34, The Classic 22, the G7.9, the Classic 31, the G46,.. and others.. All these boats are still sailing today, all of them are prime examples of fine workmanship..
-Nevertheless, the fact remains, the Grampian 26 was, and still is the most popular model Grampian produced. 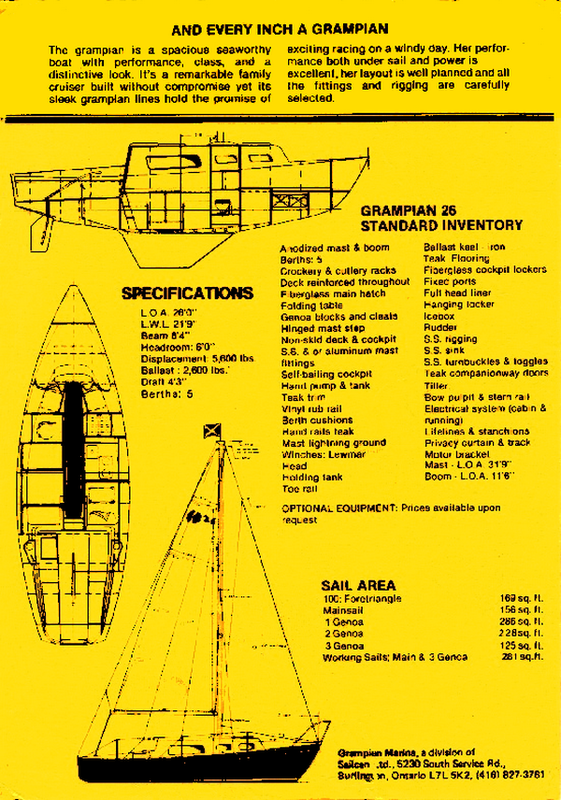 For a much more detailed history of the Grampian 26, or any of their other models, be sure to visit GrampianOwners.com, the most complete and authoritive Grampian Marine knowledgebase on the net! 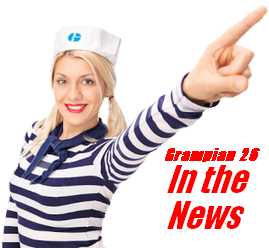 There doesn't seem to be much in the way of published information concerning the Grampian 26; a couple stray reviews here and there, but surprisingly not much. However, there are some fascinating bits in print you may not of heard of..
You've heard the rumors of trans-Atlantic voyages on a G26, but is it true?.. It is! Heard about the owner of a G26 having a run-in with a sea monster?.. It happened! Know the story of the 86 year old man traveling 700 miles on his Grampian 26 which he named after a Lord of the Rings character?.. If a hurricane picks a G26 out of the water and throws it a distance onto land and wedges it between two solid trees, will it crack the hull?.. Check out these excerpts from magazines, books, and a recent bit from a 2015 New York Times newspaper article, all of which have a direct connection with a Grampian 26..
Read Them Here: The Grampian 26 In The News!